Click the button below to add the 921-10-5630-NW Natural White Elite Series Wedge Base with Brighter Samsung 5630 LEDs to your wish list. This is Natural White which is between Warm White and Cool White. Really like the size and shape of these LEDs and looking forward to no burn outs going forwards. I did buy 3 different color LEDs to see which I we liked the best and "Natural White" we liked better than the bright or the yellow colored light. Also, I accidentally ordered the wrong LED and M4 was very courteous and quick on exchanging for the correct LEDs. At first I bought only a few rv replacement leds to see how the product worked. Now, I have replaced every light in my camper. I have a few warm white in areas were bright lighting is not needed. All of my overhead lights now have the natural white. NW is perfect for task lighting, like over counters. I noticed when I was using incandescent lights the power converter was running a lot when I had three or more lights on. Now, with the led lights I can have every light in the camper on and the converter still does not come on. Meaning very low power consumption. I have been impressed with the quality of these lights. Great product that you need to try. Replaced my old dingy led lights with these. 100% brighter. We have been very pleased with these LED lights. There color, the lumens, and the lack of heat when compared with manufacture supplied incandescent bulbs is Such an improvement. Well made, and the natural light models I selected put out great light. Since installing these led's in my motorhome, the ability to read after dark has been immensely improved. I highly recommend the Natural light bulbs, as they seem to portray daytime light the best. Outstanding. So I bought these bulbs to replace all the overhead incandescent bulbs in our travel trailer. The old bulbs were way too hot and drew far too much amperage. They were hard on our 12 volt converter. The converter cooling fan would spin up with just a couple of lights on, and it is loud. 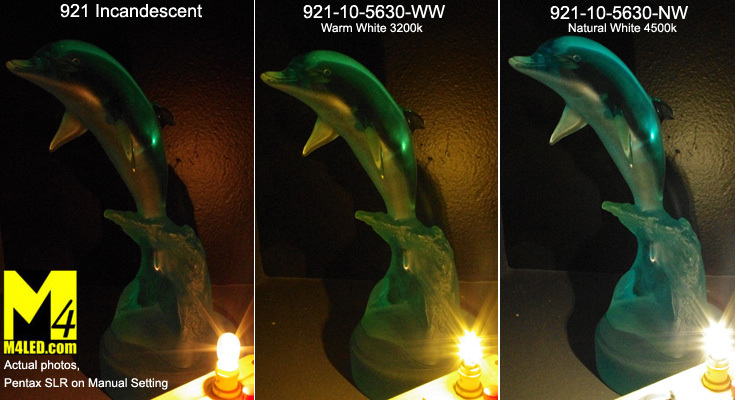 These LED replacements are very well made, put out a much cleaner white light, just as bright as the originals. But I can now turn on every light in the RV and the converter fan never turns on! Such a difference. I will wait to see how long they last, but I am very pleased with our purchase. Well worth the cost. I have boughten the cheap LEDs but find they get hot and light quality disappears fast. These from M$ stay bright, are much more pleasing to eye, and seem to last. This is the third order I have gotten of these as I slowly change out all my lights in the RV we full time in. The first 10 are about a year old and look as good as the new ones.